To excel at Muay Thai, a practitioner must excel at striking in the open as well as from the clinch. In addition to that, these gloves need to be able to withstand the impact from blocking elbows and kicks. Therefore, it is important to have gloves designed for these scenarios. Unique features that distinguish Muay Thai gloves from boxing gloves: extended wrist cuff, additional padding for the back of the hand and increased flexibility for clinching. The demand for these characteristics become obvious as you began to incorporate sparring into your training routine. In no particular order, the following are 7 gloves recommended to new Muay Thai practitioners. 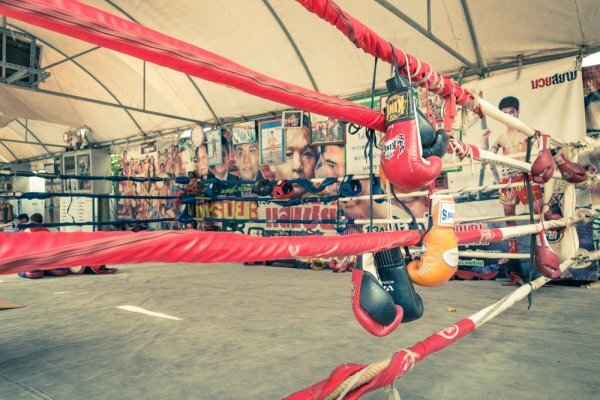 Where do you look for quality gloves that are suitable for Muay Thai? How about ones from the homeland of this combat sport itself. Twins Special are one of Thailand’s most famous brand and their gloves are worn by many students of the sport. As you compare these Twins to beginner tier boxing gloves, you might encounter a “sticker shock” from the listed price. 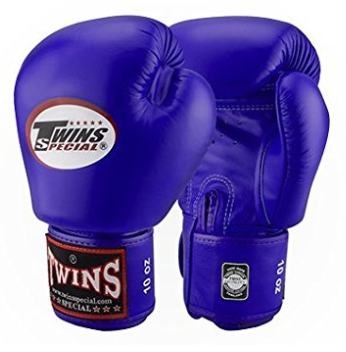 What makes gloves like the one from Twins so unique and also relatively pricey is due to the use of genuine leather instead of the synthetic leather commonly offered at the lower price range boxing gloves. Furthermore, these gloves are handcrafted with high quality construction and are known for their durability. At first glance, seeing Everlast mentioned among this list seems strange and out of place. However, further examination of the features offered by the Everlast Prime will show that it is a suitable selection to use. The Prime is an entry level pair of gloves that is the most affordable option among the 7 gloves mentioned in this article. Its foam-plated design on the back of the gloves is fantastic for protecting your wrist and distributing the force felt from blocking your sparring partner’s head kick attempts. 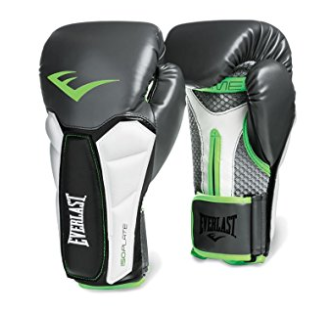 The Everlast Prime has a synthetic leather exterior for the back of the hand. Its fully-meshed palm design increases the glove’s breathability and helps reduce the sweat buildup during long training sessions. One thing to note about the Prime’s short wrist strap is how it loops through a plastic D-ring, which may be bothersome for heavy Muay Thai clinching sessions. Venum Challenger is a fantastic and economical choice that can be used for boxing and Muay Thai classes. These glove’s exterior is composed from synthetic leather and they are available in a large range of colors. Even though the synthetic leather is not as long-lasting as real leather, these Challenger gloves should be able to withstand the punishment implemented on it before you are ready to move on to Venum’s higher tier selections like the Venum Elite. 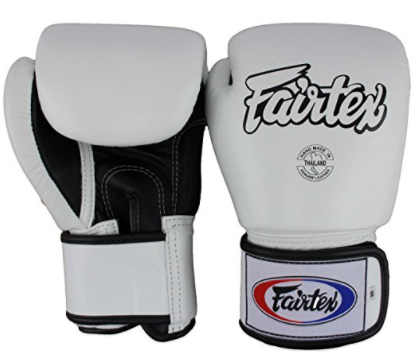 Fairtex is a popular brand that develops premium Muay Thai fight gear out of Thailand. Their Thai training gloves are handmade with genuine leather construction. The foam padding is distributed well to cover all parts of your hands. Many Muay Thai practitioners love this high quality product that is well-suited for hitting the heavy bags as well as having enough flexibility to practice Muay Thai clinches. Due to the density of the foam padding, you might need to put some good rounds on the heavy bag to break up its stiffness before these Fairtex gloves feel comfortable for you to use consistently. 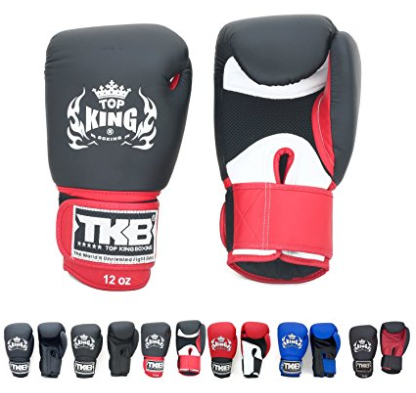 Top King Muay Thai gloves are frequently listed as one of the top three options available from Thailand. The model being examined is made from cowhide leather for supreme durability. Top King added a modern touch to their Super Air model by having a section of their gloves include a mesh area for improved ventilation during training, which also increases its ability to dry out the moisture afterwards. The component that makes the Super Air stand out from the other gloves listed here is the superb foam padding completely surrounding the wrist section. It provides an impressive protective layer for blocking kicks and elbow. Additionally, the wrist padding will also provide great wrist support when you are punching. 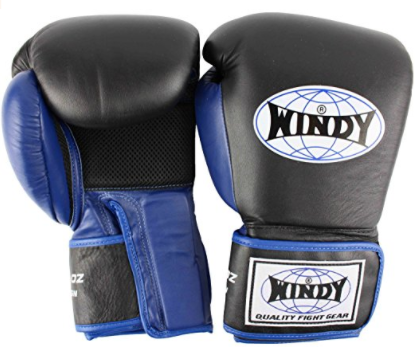 Windy is another company that sells handmade Muay Thai gloves from Thailand. Its gloves may not be great for western boxing training, but its characteristics make it optimal for Muay Thai practitioners. This particular choice is made out of genuine leather. Its foam padding over the knuckles has a density that is balanced for in-class activities and sparring sessions. The wrist section also has a layer of protective padding as shown in the image above. 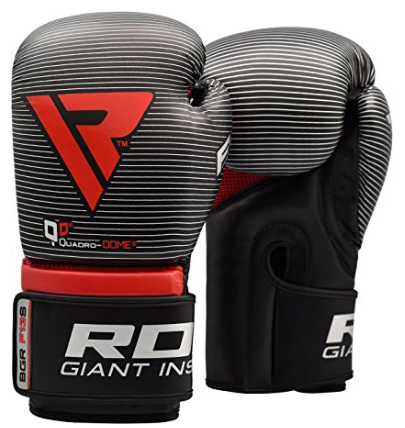 Discussion forums and customer reviews seem to agree that the gloves’ padding is wider than boxing gloves and even some other Muay Thai gloves. Therefore, individuals with wide or large hands should find this pair of Windy Thai gloves to be an ideal selection. 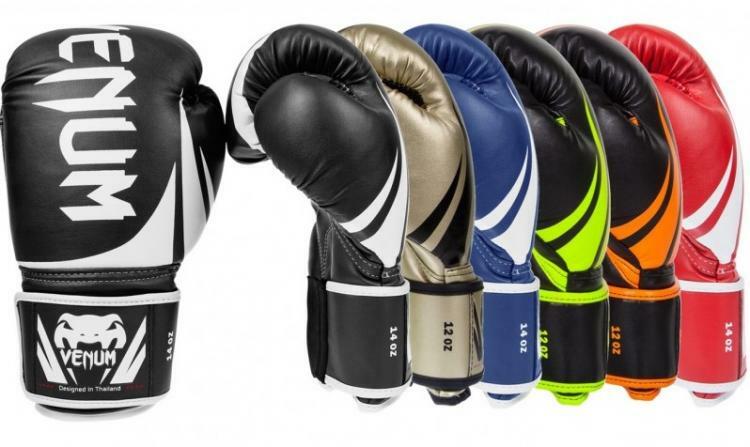 RDX Muay Thai boxing gloves are only available in the color schemes shown above. 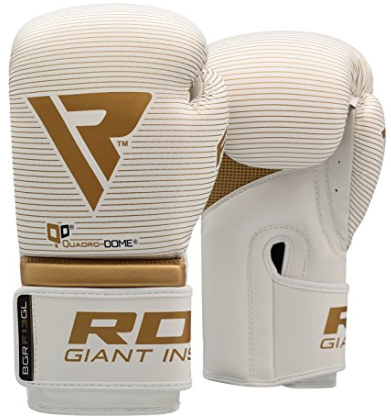 RDX Muay Thai gloves were chosen because of its extended cuff and the thick protective foam padding present at the palm area and along the wrist section. These characteristics are incredibly beneficial for the sparring component of Muay Thai. The RDX’s cuff is constructed to be wide and does not taper off like some other gloves. Therefore, individuals with small wrists might find these gloves to not be as snug fitted as they desire. Like some of the previously mentioned gloves, the RDX integrates a mesh panel for breathability. The RDX company states that the glove’s exterior is made out of a Maya Hide leather construction, which is actually their version of synthetic leather. Is Kyokushin Karate An Effective Martial Art?